Originally designed to specifically suit the needs of the League of Lordaeron (Moon Guard), DiceMaster has gradually grown in functionality over time, and the unexpected interest of the larger roleplaying community has prompted our team to release an public version of the addon. A special thanks to Rennae-Moon Guard for their help writing essential code for DiceMaster and bringing it to CurseForge! Design custom, character-specific traits to represent your character's unique abilities and bonuses. You can add custom buff effects, inspect other players' traits, and even link them in chat. Use the Dice Panel (or the /dice command) to roll in standard D20 notation with multiple dice, up to 13,476 sides, and a custom modifier. Even group members without DiceMaster can see these rolls! Track your character's health and other custom resources with intuitive status bars. You can choose a different look for this resource, inspect other players' health and resources, and more. For more information on how to set up DiceMaster or using its specific features and functions, please refer to the Using DiceMaster Guide. 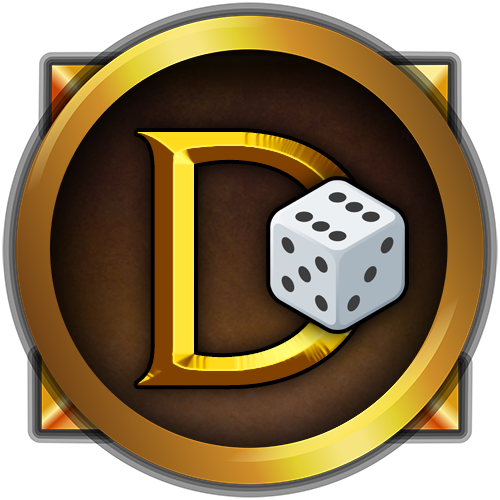 DiceMaster is created and maintained without profit for free use; however, donations in any amount are greatly appreciated to help support the addon’s longevity. If you wish to pledge your support, please send all contributions here via PayPal. It would be a really awesome if you somehow could add not just addition but multiplication and division with statistics as one of the D20 notation variables. I would also want to ask some thibgs, is it possible for one trait to have multiple buffs / debuffs? So far I can't make that work. How do I create an charge bar with more value than 8, and how do I create more progress bar? Hello! As of the new update, I have been playing with the functions. I leveled up one of my players by accident and want to delevel them but it won't let me type the RESET command in the field. Did I mess something up or miss a command? "Dicemaster has been blocked due to an action that is only usable by the Blizzard UI, you can disable this addon and restart the UI." I've received similar feedback and unfortunately I have no solution yet. DiceMaster doesn't hook any protected functions so I'm unsure why this is happening. I do not know if I have done something wrong or if it is a bug due to the latest update, but I seem unable to move the action bar or rather every part of the addone around on the screen. it is located on the last spot I placed them. The grey drag tabs were removed in that update. You can now move frames by unlocking them in the config menu, or with the command /dicemaster unlock. Reference the Using DiceMaster guide for more information. Could you writeup some examples of syntax for how to use traits to roll dice? Particularly if it's possible to roll passive traits (or active traits without consuming a charge). I would love the capability to add additional bars of traits, beyond the first 5. As a GM this would be useful for quick-linking traits of different NPC characters. How difficult would it be to increase the max health value? Something like 18 is the highest I typically see. Also, is it possible to do a plain text import / export of a trait's description, like a TRP profile? That would make setting up new players a breeze. Just donated, happy to help test or give more feedback! Awesome work so far. Traits cannot be "used" in the way described. They're just text strings tied to a button. Using the dice button or '/dice' is an independent function. The limit of 4 traits and 1 command trait is intentional. If you wish to assign "traits" to NPCs, you might try using DiceMaster's sister addon, Unit Frames, which allows you to create NPCs and assign them "monster affixes." Any value above 10 unfortunately causes the health bar to become obnoxiously long and obstructive on the UI. There may be a solution to this in the near future. You'd have to extrapolate on what you mean here. Would it be possible in the future to have an additional addon to track buffs and debuffs on a character? Some sort of notes thing specific to them. Who is able to apply buffs/debuffs to players? Who can remove them? Where would these be displayed on the UI that doesn't conflict with each player's unique UI setup? How could this feature be limited to mitigate spam/abuse? It's on my TODO list, maybe for a future version. can someone explain to me what the addon means by the command trait? What would go there? For the format my guild uses with the addon, the Command trait is akin to an ultimate ability in MoBA games. It varies from guild to guild, and player to player. It can also just be used as another regular trait. This one, from what I can tell, as with much of the addon, is up to your group to decide. Officially, the League of Lordaeron uses this slot for a special kind of trait during large scale "siege" events, wherein all "normal" traits are locked out in favour of this singular, somewhat more impressive/powerful trait. Unofficially, this slot can be used for whatever you desire. Hello! So I run an RP guild, and Dicemaster is one of the few addons we require, because lets be honest, this addon is amazing. Anywho, I have a new guildy who says they cannot get the addon to show up. They've uninstalled and reinstalled it multiple times,and nothing. The only issue I can possibly think of is the fact that this person vehemently REFUSES to download the twitch app or any of the other addon installation services. Has anyone had a similar issue? Know of what I can do to get this person's addon to work? Since this seems to be an isolated incident, I would assume it's a problem on their end, perhaps with installing the addon incorrectly if they're doing it manually as you say. If it throws a specific Lua error, I can take a look at it, otherwise I'm unsure how to reproduce this issue and work out a solution. Hope they find a fix. With Communities out now, I was wondering if it was at all possible to implement a way to have DiceMaster report dice rolls into a Community Chat? I'm looking to implement a few Cross Faction things into my guilds events using the Communities, CrossRP, and DiceMaster and thought it'd be a cool addition if it were possible. The recent update (4.8.3) should have fixed any issues with chat links in /guild chat, but my team and I are still working on custom community channels. We hope to have something ready soon! Hello. I am using this addon in the last patch, but I can't enable the Charge System. Am I doing something wrong? EDIT: I managed to enable it by manualy edit the config file, but I couldn't enable it in-game.